Officials briefed Mitchell-Lama residents on Friday night. Are state and city regulators doing everything possible to keep Mitchell-Lama buildings affordable for years to come? 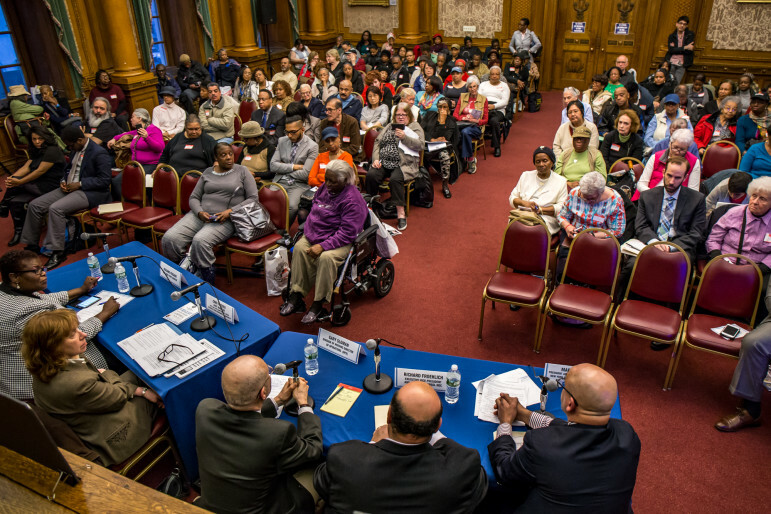 It was the driving question at the Brooklyn Mitchell-Lama Task Force legislative summit on Friday night, which brought together regulators and residents to brainstorm creative solutions to problems facing the Mitchell-Lama housing stock. At least four city-managed Mitchell-Lamas, including three cooperatives and one rental, are currently in the process of buying out of the program, one city official said. Meanwhile, at some other Mitchell-Lamas that have remained in the program, residents complain of rising maintenance fees and rents. Founded in 1955 and once nationally celebrated as a model for middle-income housing, the Mitchell-Lama program provided housing companies with low-interest loans and property-tax exemptions if they agreed to abide by limits on profit to keep rents or coop fees low. Yet as regulatory agreements have expired, many landlords and cooperative owners have chosen to opt out of the program and sell their buildings or units for a profit, reducing the total number of units from 135,000 to 97,000. In addition, as the program’s housing stock ages, many Mitchell-Lamas have struggled to address capital construction costs. Officials from the Department of Housing, Preservation and Development (HPD) and the state Division of Homes and Community Renewal (DHCR) said they’re working hard to keep Mitchell-Lamas from privatizing. They’ve strengthened the regulations governing the process by which cooperative vote to buy out, and created the “article II to article XI” conversion program to give cooperatives seeking to privatize the option to opt into another affordability program. They’ve also issued more loans to Mitchell-Lamas, which, as Housing Development Corporation chief operating officer Richard Froehlich explained, keeps buildings from exiting the program by requiring them to abide by program requirements for the length of the loan. City officials recognized that increasing debt can lead to increases in maintenance fees and rents that can be a burden on residents, with some paying more than 30 percent of their income on rents. This, they conceded, was simply the nature of the Mitchell-Lama program, which bases rents on building expenses, not tenant’s income. “You cannot simply cap rents for people without another subsidy behind the rent, which would be SCRIE, DRIE or Section 8. You can’t just tell people that they have to stop paying when they get to 30 percent because if you don’t have the subsidy, then the housing company can’t pay its bills and the building will deteriorate,” said Gary Sloman of HPD. Froehlich said the corporation plans to release a plan this summer that will help address rising expenses by allowing Mitchell-Lamas to restructure their debt at current low interest rates. Some residents in the audience, however, thought the city could do more to keep residents from shouldering rising costs. Mitchell-Lama resident Antonia Ortiz wanted the city to offer fewer loans and provide more grants to reduce maintenance fees and rents. Christine Fowley, a member of Cooperators United for Mitchell-Lama, suggested a more progressive distribution of new expenses by raising the surcharge fee, the extra charge paid by residents whose incomes grow over the building’s qualifying income limits. Currently, surcharge fees cannot be raised higher than 50 percent of maintenance fees. Fowley also called for the passage of legislation that would ban the privatizations of Mitchell-Lamas. “Why the hell should I leave with a profit and screw the next low-income person?” she asked. A cooperative’s board leadership plays a vital role in making decisions about the future affordability of their building, and Friday night’s discussion also focused on improving governance at Mitchell-Lama cooperatives. Some Mitchell-Lama residents contend that the use of “proxy” voting systems, which allow residents to sign away their voting privileges to others, allows cooperative boards to amass power and violate fair election processes. While at the beginning of the Friday meeting, officials defended proxies as a means of helping cooperatives reach a quorum, they later agreed to explore requiring all proxy voting systems to be “directed proxies,” in which a resident writes on paper how they want to vote. The regulators already require directed proxies when Mitchell-Lama residents vote on whether or not to privatize. Mitchell-Lama resident Sallie Stroman told City Limits that HPD should require open board meetings. Not only will this increase board transparency, she said, but it will also allow younger residents to learn how Mitchell-Lamas operate and to consider running for election. Last but not least, residents and regulators discussed the perception that the agencies lack a clear procedure to deal with residents’ complaints. HPD’s Sloman insisted that HPD tracks and investigates all grievances. “Just because you don’t hear back from us doesn’t mean we’re not investigating,” he said. Mark Colon of the Division of Homes and Community Renewal said that the results of investigations must be kept confidential out of privacy concerns. Councilman Antonio Reynoso, who moderated the event, took issue with the idea that residents would never know whether their complaints had been addressed. “You could just say ‘there’s no findings,'” he suggested. 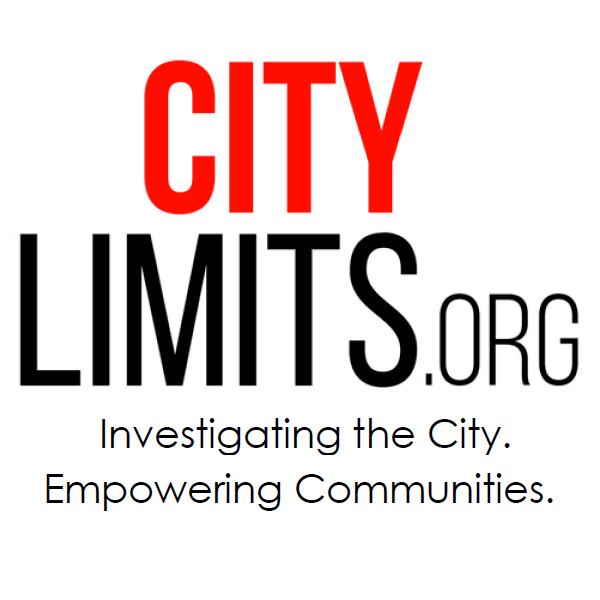 City Limits’ coverage of housing issues is supported by the Charles H. Revson Foundation. Developments who technically do not reside. Many are told when they apply for their apartment, the apartment will be more money because the co op is going to go private. Correct, HPD is a facillitator of landlords and has no interest or history in regulating landlord ireegularities regarding building operating statements and sweetheart commercial space rentals to building owners and their families. HPD is a rogue operator masquerading as a regulator with a license to steal. Photo should be captioned – Officals “bluffed” Mitchell Lama Residents. Wash. Heights Tenants Wonder: Is the Problem the Leak, or the Landlord? Water damage and mold are rampant in rent-stabilized apartments at the West 174th Street address. Tenants suspect an effort to get them out. The landlord insists it’s just a leak. Cuomo and De Blasio: Political Foes … but Affordable Housing Partners? The mayor has proposed 300,000 affordable units. The governor 112,000 such homes. It turns out the plans will overlap, reflecting the realities of construction costs and creating a joint legacy for the rival leaders.